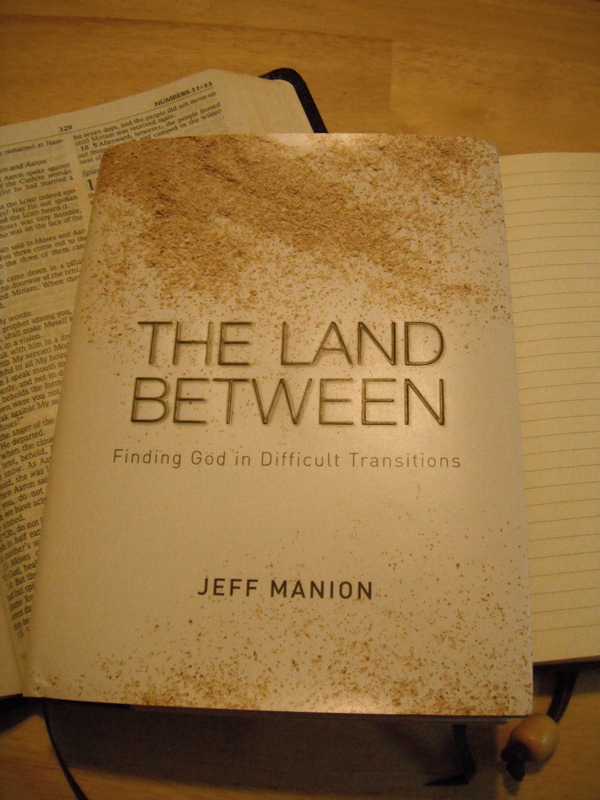 The sub-title of the book says it all: Finding God in difficult transitions. Jeff Manion is not dealing with a hard day. The Land Between deals with gut wrenching periods of time. This book ranks as a must read. If you are in traveling in the land between, you’re crazy to ignore what Jeff is communicating. Strong words but true, and coming from a guy in such a transition. Using Israel’s trek from Egypt to the promise land, Jeff uses lessons from Israel to help guide us in our own land between. The book handles the Bible passages with excellence. Often the Old Testament is moralized and man centered. Jeff brings out what these passages are really about: God at work preparing and refining His people. He describes God as the hero; not just for Israel but you and I as well. Throughout the book the choice is clear between trusting in God and the pit of complaining & bitterness. Jeff’s places stories a the right spots like an expert chef using spices. They are brief, real, and at times very raw. (Challenging transitions are like that.) While at times he gives the result, there are times where he does not. Jeff’s own land between ends in blessings. In difficult periods, we need to remember that God does get us through. The stories shared bring reality to light. (Like wondering when the transition will be over.) He clearly articulates the dirty reality of hard times. The book reads easily and conversationally. I appreciate how the book handles Bible texts well, while not academic in their explanation. That skill is hard to find. The book is applicable in the sense of our relationship with God; the choices we are faced with, the emotions that will boil in us (they will boil) and the intimate involvement of God throughout. Jeff took roughly 200 pages would could be volumes. The Land Between is the perfect size, depth and readability for his intended audience; those of us in the land between. The last thing we want to hear is another book we should read when in difficult transitions. This is a book we should read. Why? 1) Israel made costly mistakes that can be avoided. 2) We need to remember that God is not merely with us, He is intimately at work in us. 3) It is not a lassie tale of hard times turned good. The Land Between lays out the road map for our hard journey. More than the insane details of our challenges, we must embrace God. The feeling I got after reading The Land Between was calm resolve. Not the emotion I expected. There are not many books I’ve read were I have a wish to thank the author in person. Jeff, thank you for you for the map of the desert! Transformational growth can result from the tough journey in the land between. During these times that we are tempted to define ourselves as “what we used to be” and “wishing we were somewhere else”. Such times we can only see the Red Sea ahead of us and a charging enemy army at our heals. Will we trust our Yahweh Elohim, Savior of our Souls? Transformational growth awaits those who do.